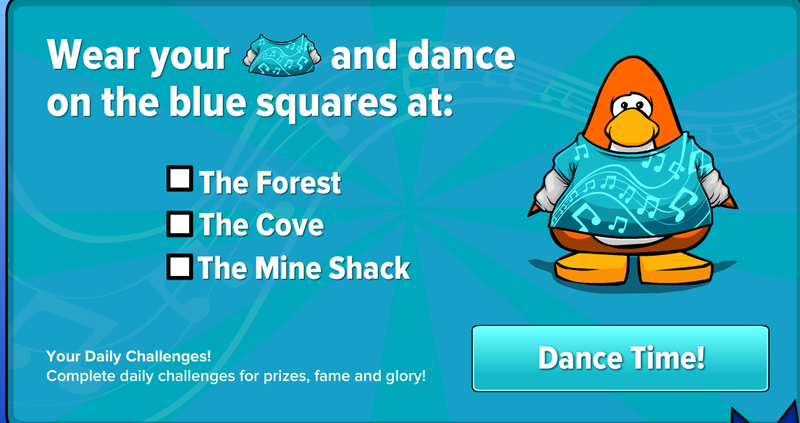 Cold Dude Computers: Daily Challenge: Day 3! Recently Day 3 of the Daily Challenge was released! First pick up your item as always. 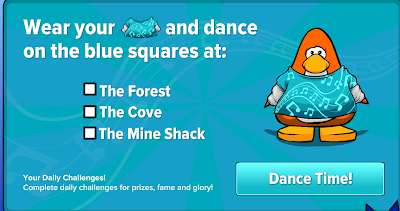 and Dance on the BLUE squares at the Forest, Cove and Min Shack. 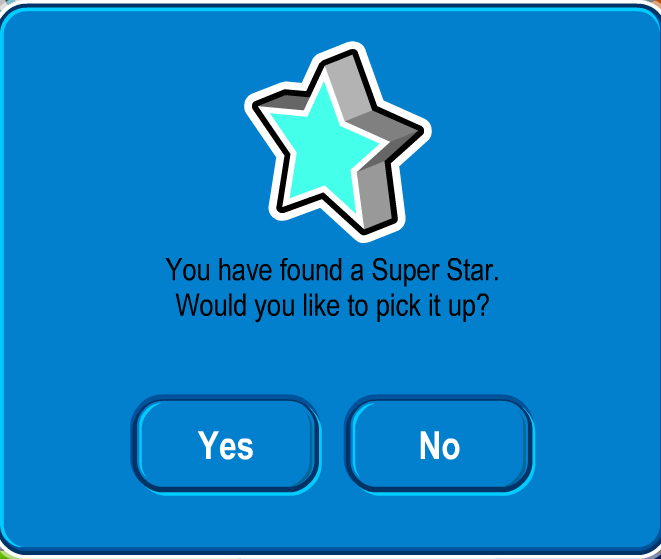 When you have danced on the blue squares at all the stages you will be rewarded with the Super Star Pin! When you press 'Yes' a new Background will be added to your items. Tomorrow is supposed to be free gold microphone for members. Sounds kind of cool to me! What do you think? Leave a comment and let us know!